Anyone out there game for masala vadai along with hot chai. I’m game any time for it. It is rather a unique combo. Chai and vada, you know. Who ever thought of the great combo, hat’s off. It is always an enjoyable experience, the whole family sitting down for tea, chatting while munching on hot and spicy masala vadas. It only gets even better if you have a load of guests. The kitchen gets busy while the ladies multi task among them to get things ready on time. Think of the great time you have. 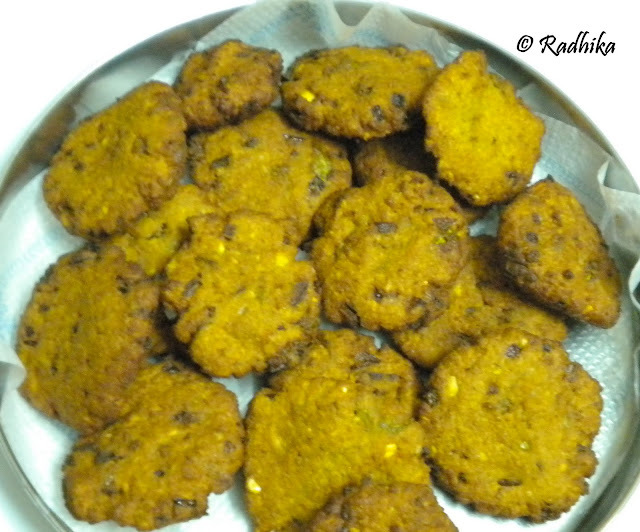 Here is masala vadai from my kitchen made during one such recent memorable occasion. Soak the chana dal in water for at least 2 hours. Drain the water and spread on a clean cloth for 15-20 min under a fan to air dry. Take 2 tbsp of channa dal and keep aside. Transfer the remaining to a blender and add red chillies, fennel seeds to it. Grind it to a coarse paste without adding any water. To this ground paste add the 2 tbsp of whole channa dal, chopped onions, mint leaves, curry leaves, ginger and salt and mix well together. Heat a kadai with oil. Make golf sized balls of this mixture and slightly press between your palm and make into patties. Slip them slowly into the hot oil in batches and deep fry till golden brown. Remove on a kitchen paper. Serve it hot during tea time and enjoy. Spreading the dal on a cloth ensures that it uses little oil while deep frying. Don’t grind the dal to a smooth consistency. It should be coarse. You can avoid using onion on vrath days. I never count when i eat these vadas :-p Can finish it off in no time. 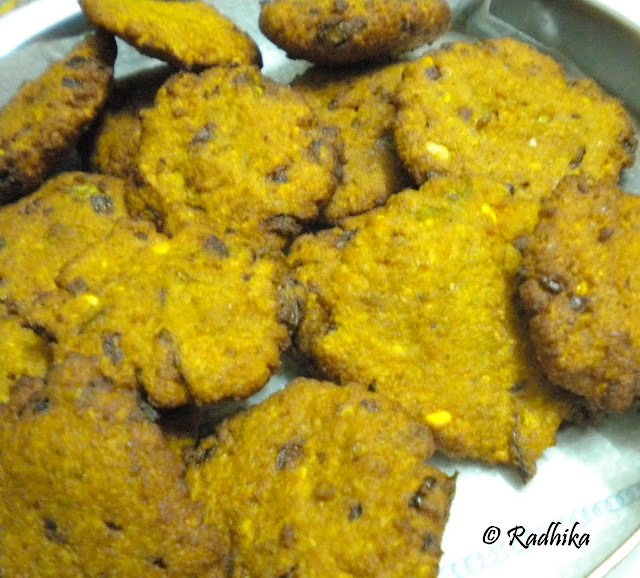 Chai and vada…yum..I am up to it…my favourite. My favorite one… I love having it soaked in rasam for a few hrs.. Looks so perfect..
the pics got me drooling radhika- perfect partner in crime with cutting chai ! -pass it on ! 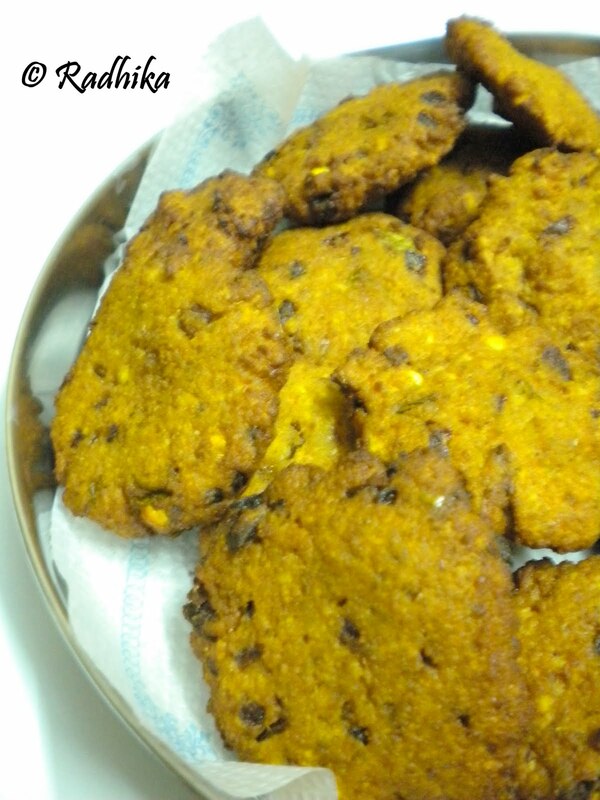 Looks crispy and yummy….will love to eat it..
Looks really good, nice with tea. This was our evening tea snack last weekend. Nice recipe! My hubby loves this a lot……..
Love masal vadai. Looks so yummy. 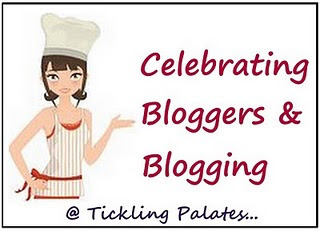 I have some awards waiting for you at my blog .. do stop by and collect them. Pass me some these crispy, tempting vadas!!! Some awards are waiting for you at my space, so plz drop by my blog and collect the,, as you deserve it.. I can have these crispies anytime,yumm! i love fennel seeds in vada…..its a great combination…..tasty evening snack…..
Looks so delicious and wonderful vada !! 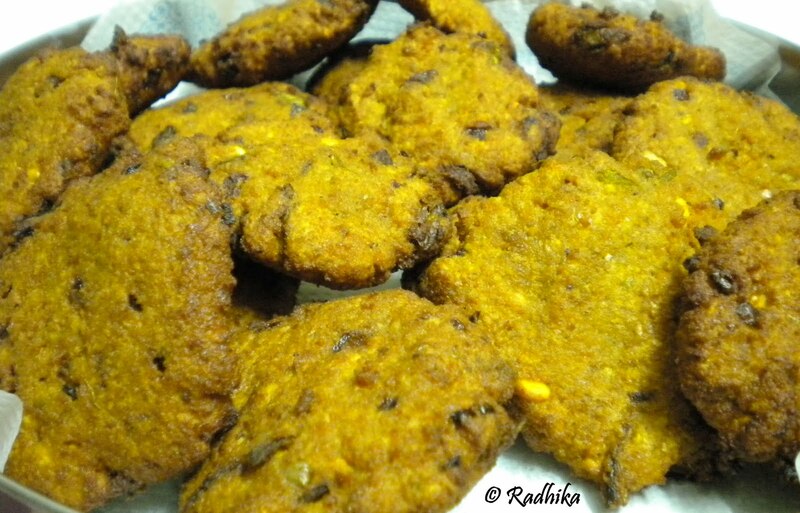 love paruppu vada .ur looks so tempting…u have a gr8 blog..
Nice vadai would love to have one. Wow! looks crispy and delicious..excellent snacks for tea time.. Simply awesome and delicious looking Masala Vada.